Dr. Gary Novatt, M.D. 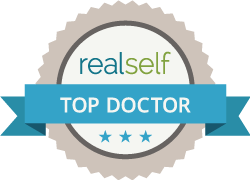 is a board-certified cosmetic dermatologist and laser surgeon. He has advanced training in laser surgery and uses the latest techniques in rejuvenation. Dr. Novatt received his medical degree from the University of Southern California. He also attended the University of the Pacific Stock on California where he received his degree in Pharmacology. Dr. Novatt completed his internship at Los Angeles County Medical Center and completed his residency training in Dermatology at Mount Sinai Medical Center, Miami Beach, FL. Dr. Novatt is a diplomat of the American Board of Dermatology. 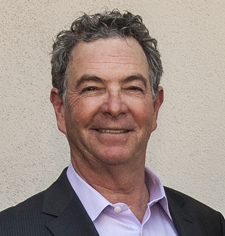 He is a delegate for California Society of Dermatology and Dermatological Surgery, serves as past president for the Tri-County Dermatology Society, and serves on the American Academy of Dermatology Advisory Committee, and is an active member of the Santa Barbara Medical Association and the California Medical Association. Dr. Novatt has published several articles in medical journals. He actively lectures to physicians at medical conferences and has an actively role in supporting his local community on skin cancer awareness. Dr. Novatt specializes in all diseases of the skin, hair and nails. Dr. Novatt has had extensive training in skin cancer surgery including Mohs Micrographic Surgery. He is Santa Barbara’s #1 injector for Botox. He also uses Juvederm, Radiesse, Restylane, Dysport, Perlane and Sculptura, in addition to performing other cosmetic procedures such as sclerotherapy and laser treatments.